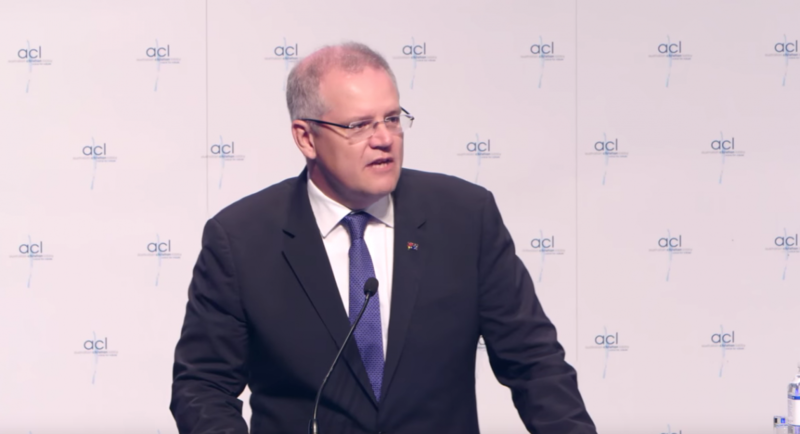 Morrison spoke at an ACL conference in 2016, where he took the opportunity to defend comments by Eric Metaxas, who described the progression of LGBTI rights as equivalent to the rise of Nazism. The Australian Christian Lobby has declared its support of Prime Minister-designate Scott Morrison, congratulating him following his ascension to the top job. Morrison defeated fellow challengers Peter Dutton and Julie Bishop at a party room meeting earlier today. The ACL’s support of Morrison is unsurprising; Morrison is anti-marriage equality and refused to enact the will of his electorate, abstaining from voting on the legislation late last year. “We look forward to continuing our constructive conversation with the government on religious freedom,” ACL Director Martyn Iles said in congratulating Morrison. “It’s now been over three months since the Ruddock Review was released. 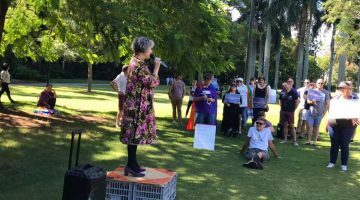 Religious freedom must be a priority for the Morrison ministry in light of increasing numbers of Australians who are getting in trouble with the law for living out their faith,” Iles said. Iles did, however, take the opportunity to call on the government to end the suffering on Manus Island and Nauru. Morrison spoke at an Australian Christian Lobby conference in 2016, where he took the opportunity to defend comments by Eric Metaxas, who described the progression of LGBTI rights as equivalent to the rise of Nazism. “I respect everybody’s opinions, I just hope and wish others would do the same,” he said, after speaking at the Australian Christian Lobby conference. “I have always respected everybody else’s faith and always sought to respect everybody else’s view. “To protect our country, to protect our society, to protect our economy and to protect our children, we must protect the family,” he told the ‘Cultivating Change’ conference. “My faith is not my politics. My faith is an important part of who I am, as it is of every human being, whatever their faith might be. Judge me on my policies. My faith is my business,” Morrison said, just a year before voting against the marriage equality change the majority of his electorate supported. Opposition Leader Bill Shorten also spoke at an ACL conference in 2014, where he called out the use of faith to vilify and exclude LGBTI people.